Always ready to shoot, write and edit stories for Youtube and television. 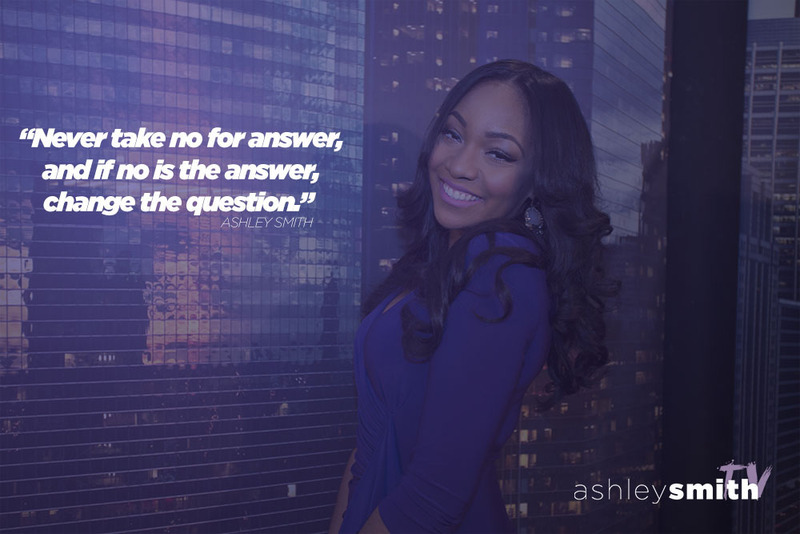 Ashley Smith is an emmy-nominated multimedia journalist who obtained her Bachelor of Arts degree in journalism from Columbia College Chicago: School of Media Arts. During her academic study at Columbia, Smith seasoned her journalism skills by being apart of the masthead at the award-winning school publication, The Columbia Chronicle. Smith honed in professional on-air skills by reporting in the field and anchoring live with newsbeat. Smith also has producer credentials from top-tier media outlets in Chicago including ABC 7's Windy City Live and WGN-TV. Since then, Smith is currently soaring the skies for a major airline while documenting her adventures as a flight attendant on youtube. If you'd like more information about ASHLEY check HER out ON Youtube and Instagram.